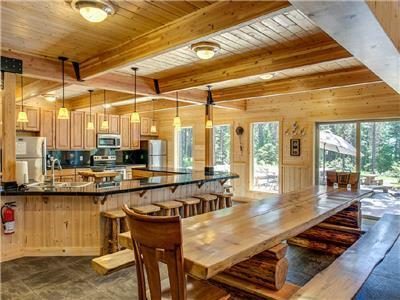 This home was built for big groups to enjoy each other. 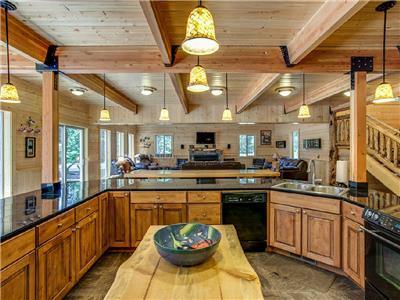 The kitchen has 2 stoves and 2 refrigerators. 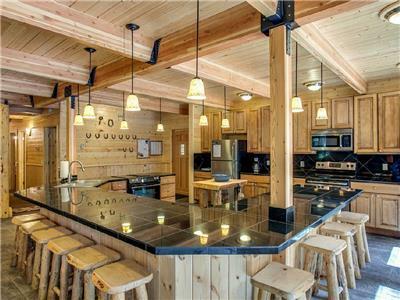 10 bar stools line the bar facing the chefs kitchen along with a 11 foot dining table. 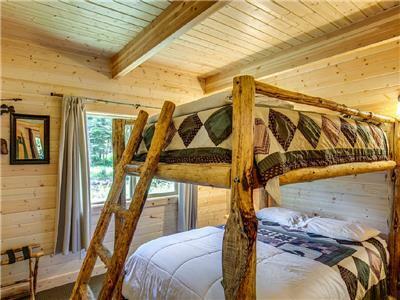 8 bedrooms with 8 queen beds and 4 twin beds. 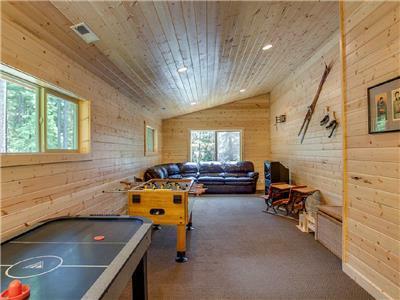 A game room with Foosball, Xbox360. 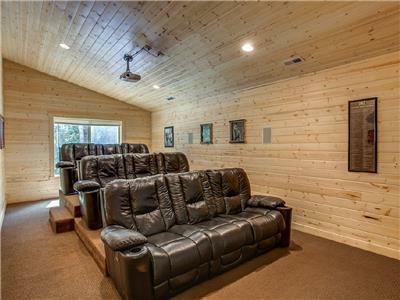 9+ person theater. Gas fire place and a 2nd flat screen TV, Satellite, DVD, stereo with Iphone connector. 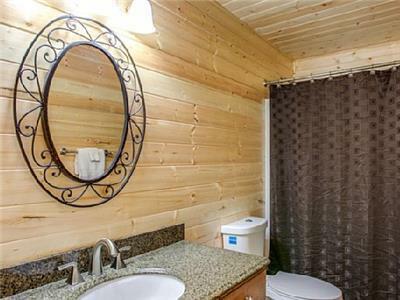 Along with a deluxe interior you will find a 7 person private hot tub with year round access, Giant Chess Set, Fire pit, horse shoe pit and acres of Forest Service to roam. 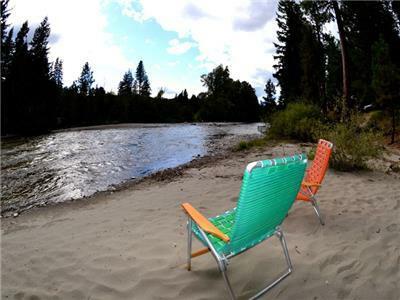 The river and sandy beach are just a 5 minute walk from the home. Full Kitchen: 2 Stoves/Oven, 2 Refridgerators, Microwave, Blender, Griddle, Coffee Maker, Mixer, 30+ sets of dishes, pots & pans, and more. Everything I can think of putting in the kitchen. 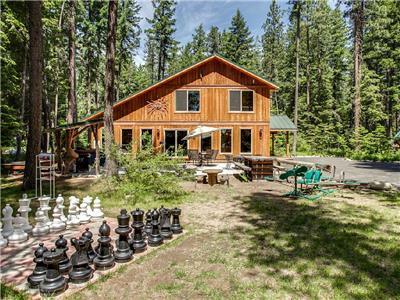 Fire Pit, Horse Shoe pit, hammock, sand box, teeter-totter, basekball, Giant Chess Set, Gas BBQ, Deck furniture, Hot Tub (Year Round!) and more. 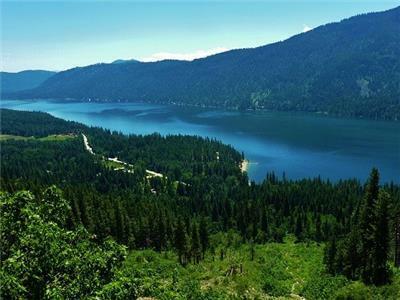 Lake Wenatchee Recreational Area	 All Seasons Attraction 1.68 mi. 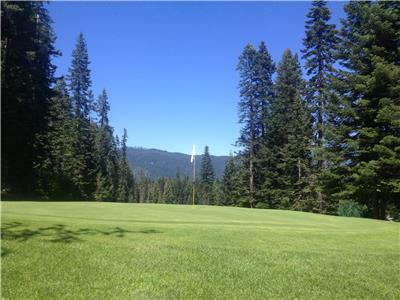 Golfing	 All Seasons Attraction 1.68 mi. 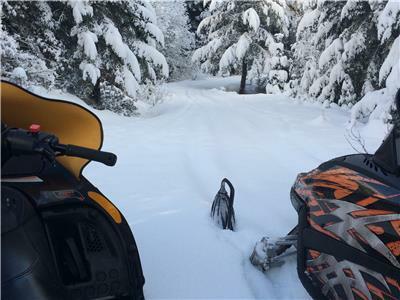 Snowmobiling	 Winter Attraction 1.68 mi. 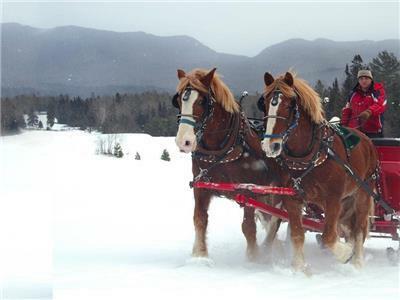 Sleigh Rides	 Winter Attraction 1.68 mi. 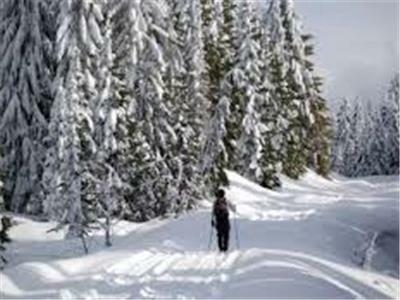 Snowshoeing	 Winter Attraction 1.68 mi. 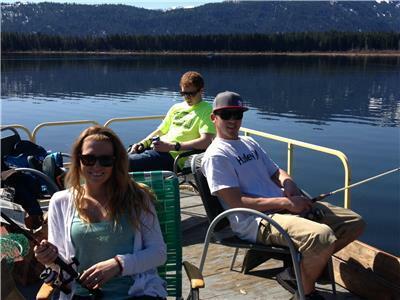 Fishing	 All Seasons Attraction 4.63 mi. Ice Fishing	 Winter Attraction 4.63 mi. 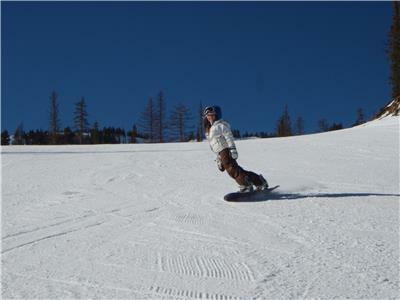 Skiing / Snowboard	 Winter Attraction 5.05 mi. Cross Country skiing	 Winter Attraction 5.05 mi. 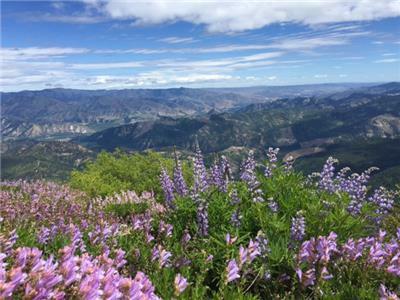 Hiking	 All Seasons Attraction 5.05 mi. We had 12 of us stay here for a work off site. 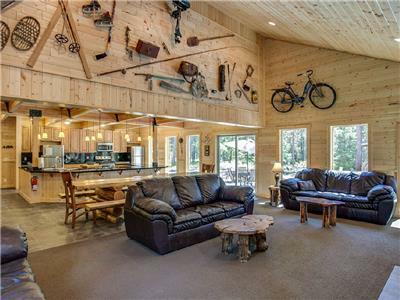 My team loved the location, the house and everything! It was set up perfectly for our group and we got so much done! Would 100% come here again! 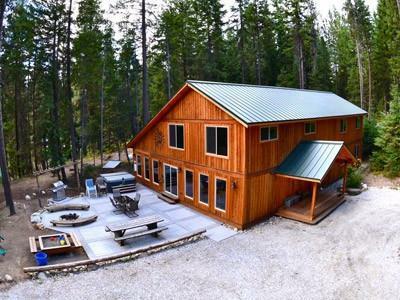 My family and I rented out the Marianne and Jordan Lodges for our family reunion one the 2018 Thanksgiving Weekend. We had a great time in the lodges. 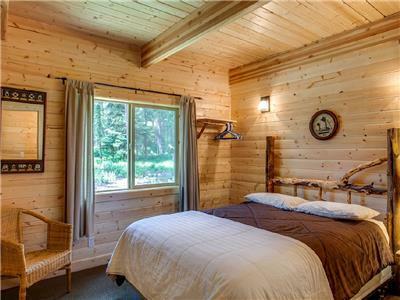 They are furnished well with all kinds of activities and supplies for the stay. 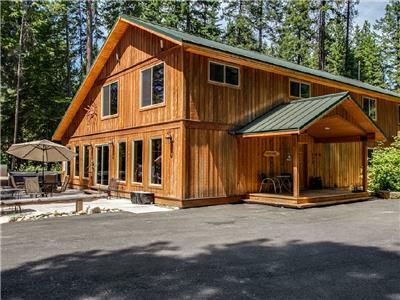 Beautiful spacious home great for large gathering!! 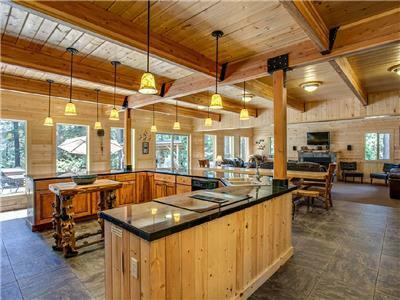 This home is very well organized and accommodating for a large get together. 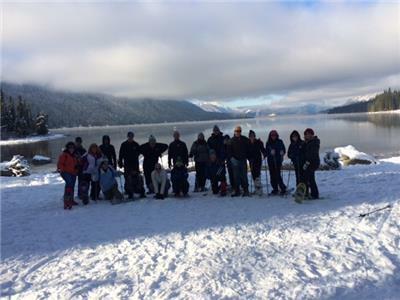 We fit 5 families comfortably in the home and had an amazing weekend cooking, hot tubing, and enjoying the surrounding beautiful outdoors. 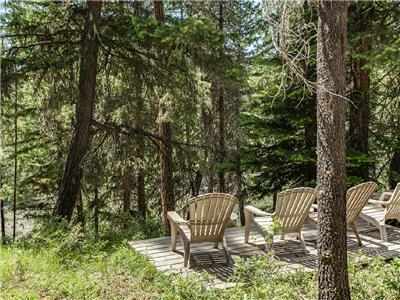 The proximity to town and outdoor adventures made it a perfect spot for a retreat. Would not hesitate to recommend it or return again at any time of year. 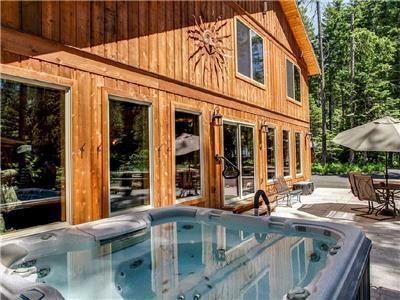 The Marianne Lodge was perfect for are family to stay at while preparing for our son’s wedding. 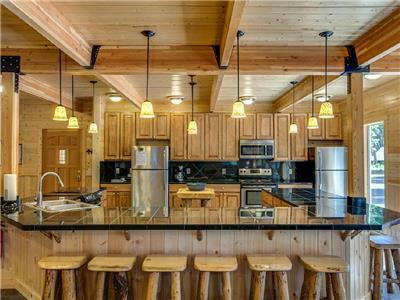 The layout of the lodge is outstanding, there was plenty of space for everyone. We were all very happy with our accommodations! We had a family Christmas get together here, what a wonderful place! We had 18 people and everyone had a GREAT time. The lodge was beautiful, and nicely set up. The beds were comfy too! We loved the great room, media room, game room and kitchen! The location was perfect, in the woods, lots of snow and close to Leavenworth. We plan to do it again next year! Thanks to Marianne for making the booking easy and taking care of all our needs! A really great place to spend the weekend. We had 16 in our group (including 2 couples), and everyone had their own bed, with no more than 2 to a room. 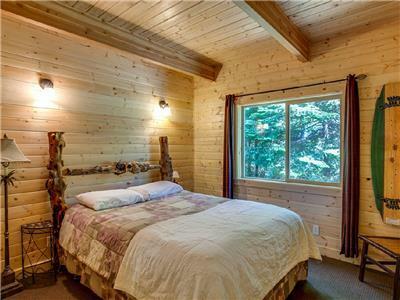 All the bedrooms are more or less equally good, which was part of the reason we chose it - didn't want to have to decide who get the better rooms etc. We never felt cramped and the kitchen was great for cooking. We would stay again for sure! 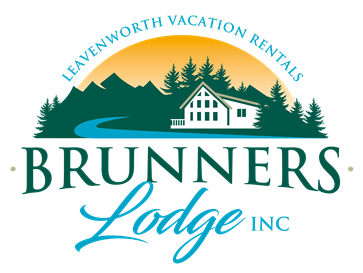 Brunners lodge took care of everything! From day on I was informed and taken care of in all aspects. True customer service! I will definitely be returning soon. 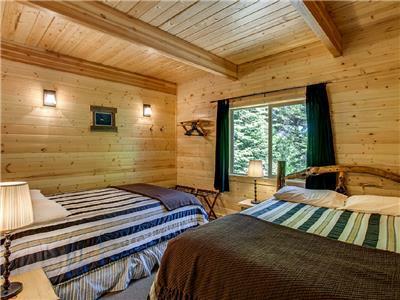 ********Beautiful cabin! It was better than we could have imagined. Thank you for providing this wonderful venue! 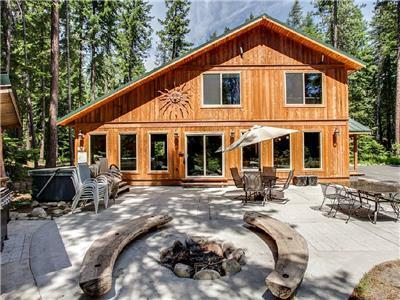 This beautiful home was the perfect location for our large family’s weekend gathering! 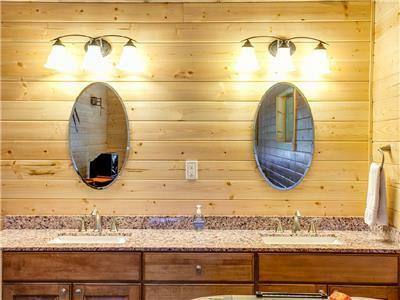 We were amazed by all of the amenities and thoughtfulness that went into preparing this beautifully appointed home. It was the perfect weekend getaway for our family. Thank you! 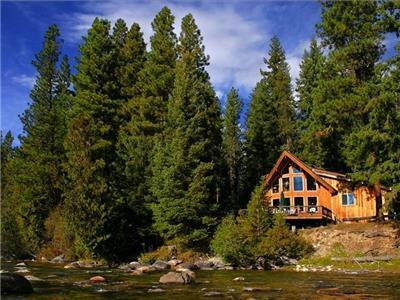 What a beautiful home in such a beautiful setting! We had our multi-generational family vacation August 2017 at the Marianne Lodge. Everyone age 2-74 had a great time. The home was so well appointed, we lacked nothing. The beds were very comfortable. We were surprised to find a giant bin of beach chairs and sand toys down on the river. It was such a blessing to be there! So peaceful! Marianne was a delight to work with - I had lots of questions and she answered all of them promptly! I would definitely recommend Brunner's to anyone! We had such an amazing stay. 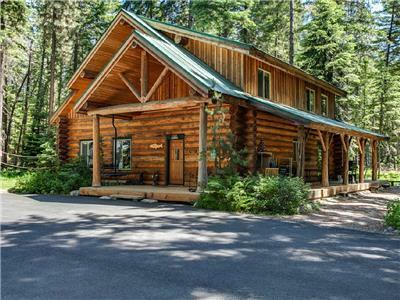 Your beautiful home was perfect for our yearly family reunion. The outdoor space was especially great for kids. They had the freedom to play safely while the adults could still enjoy a beautiful river view. 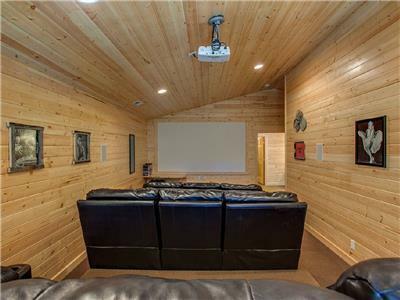 The theater room was an added bonus. Our whole family wants to come back! Thanks for a great stay! 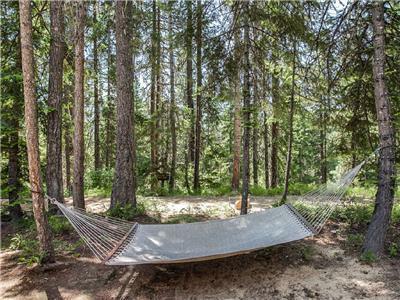 Very comfortable and peaceful! Ages ranging from 4- 73, there was something for everyone! 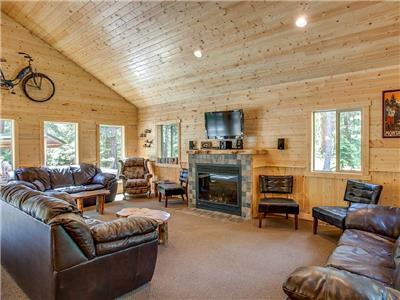 ★ ★ ★ ★ ★ Big enough for all 16 of us to gather together when we wanted to or be in different parts of the property whether in the hot tub, theater room, down by the river or at the large dining table. We loved the house! Absolutely had everything you could want! We had a fabulous time staying at the Marianne for a family vacation. We had ten adults and 8 kids ranging from 2-8 years old and this home had something for everyone. The kitchen and great room was spacious and comfortable for everyone -- especially loved the large kitchen and dining area with plenty of room to cook and eat with a large group. The kids and adults loved the outdoor "toys" available (basketball hoop, airplane teeter totter, hammock, fire pit and large patio). The house itself was in a fairly private space and up high enough from the river that it felt safe for the kids to run and play. The kids also loved the indoor game room and theater. The amount of bedrooms fit our large group quite nicely. It was a 30 minute drive into the downtown area of Leavenworth which was a fun place to check out, as well as many other hiking trails and river/lake access nearby. All in all exactly what we were hoping to find and we had a great time. The property was amazing! We loved everything!! I celebrated my 40th birthday with 18 friends and family members over the first weekend of December. Marianne Lodge was everything I had hoped for and more! The house was plenty big for all of us, but had a warm cozy feeling that we loved! The lodge was decorated for Christmas and the 12+ inches of snow we got that weekend made for a perfect winter getaway! The kitchen was certainly the hub of the home - we spent most of our time at the beautiful dining table or perched on the many barstools at the peninsula. There are some tough critics in our group and everyone raved about how perfect the house was. The grounds were beautiful covered in snow, but we all agreed that we needed to find a reason to come back in the summer and enjoy the river and outdoors! Thank you so much for sharing your beautiful home with us! We made some lifetime memories and can't wait to go back to make more!